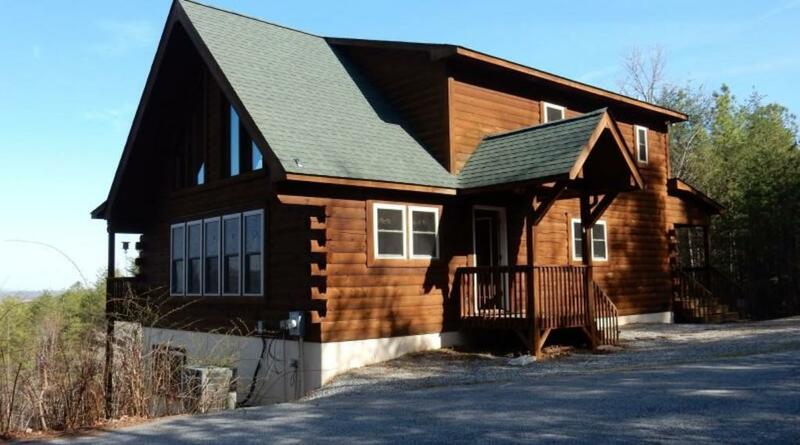 "Hidden Hideaway" is a beautiful log home perfect for family vacations or a romantic getaway. It is located on a long paved drive tucked away for a private escape with fantastic mountain views. 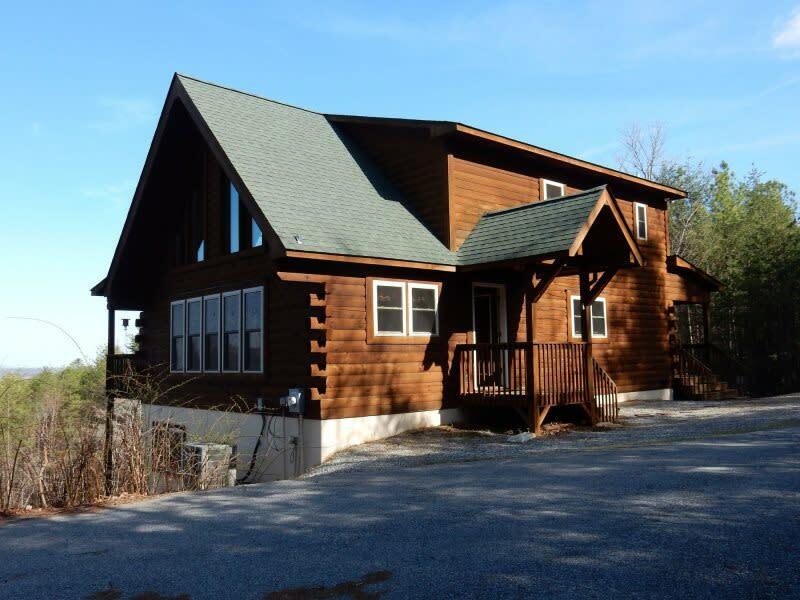 This comfortable log cabin is nestled just minutes from the beach at Lake Lure and the Tryon International Equestrian Center. Chimney Rock shops and State Park are also just a short drive. Plan to spend your nights watching deer, wild turkey, owls, and flying squirrels, but please do not feed the bears! This is just what is offered outdoors; just wait until you step inside this. With Maximum Comfort and Numerous Amenities In the home itself, there are 3 bedrooms and 3 bathrooms on 3 levels, allowing you and your family plenty of privacy and an abundance of space with maximum comfort. The main level offers a wraparound porch, living room with stone fireplace, high ceiling, kitchen/dining area, and private bedroom with queen size bed. The upper level has a full size bed and private balcony, bathroom and game table in the loft area. The lower level is outfitted with your children and entertainment in mind. It has two twin bed as well as a bathroom with a shower/tub. The spacious lower level family room comes complete with a wet bar, pool table, TV with local channels, and DVD movies for those lazy rainy day afternoons or quiet evenings. There is fabulous hot tub just outside the lower level patio doors. Additionally there is wireless Internet for your use! Perfection Every Season This mountain home is perfect for every season! Visit in the spring when the mountain laurel, rhododendron, and red bud trees are blooming. The summer weather seems perfect all the time and you can enjoy the soothing breezes and beautiful sunsets from the decks. Autumn brings a breathtaking array of colors. Enjoy the beautiful snowy weather in the winter where a cozy cabin and warm fire feels just right. No matter the season, you can enjoy the beauty surrounding this mountain home from its decks (both covered and open air) and numerous interior windows. There is a view from every area of this home, inside and out.